We’ll come right out of the gate and tell folks that this is a huge no-no. Under no circumstances that are not written into an actual court order will the withholding of child support ever be looked upon favorably. And while custodial interference is among the top reasons why child support payors fail to pay their child support in full – in the court’s eyes, custodial interference is not a legitimate reasons for withholding child support payments. Make no mistake about this. Most, if not all, people understand the pain and frustration that comes with facing someone who willfully violates a parenting agreement or child custody order. Even more frustrating is that the interfering parent, most often the mother, is rarely punished to a level that is satisfactory for the offense of custodial interference. Despite these realities – the court will not look favorably upon the child support paying parent for withholding child support, even in the face of willful disobedience of the court order (for custodial interference). You need to always bear in mind that child support matters and child custody matters are treated separately by the family court system. Very often, the matters aren’t even heard by the same judge. Therefore, it is important for you to remember that the only legally acceptable recourse you have to address custodial interference on the part of the high-conflict, vindictive parent – is through the family court. In our experience, it is rare that a single instance will result in a change in the custodial arrangement. Almost always it will take an established pattern of behavior or a full parental kidnapping to warrant consideration for a change in the parenting arrangement. Children have a right to love and be loved by both parents. 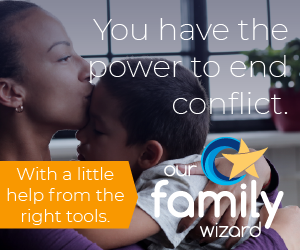 While far too often for our liking that isn’t often reflecting in the majority of court rulings regarding child custody, the true best interests of the children are served by keeping those relationships alive. Establish enough in the way of a parent’s pattern of willful disobedience of the court order, and you could get a change in child custody based upon a serious material change in circumstances. One point is abundantly clear – child custody enforcement should be treated with the same vim and vigor and child support enforcement. Unfortunately, it is not – and it is because there is money to be made by many people within the gargantuan family court system. The flow of money into the coffers of so many will remain the priority. Still, from our perspective, withholding of children from their precious, legally ordered time with a loving and caring parent is far more vulgar than withholding of child support for such an offense. Until the family court system sees it the same way, you must remember to keep yourself safe from their harm and proceed through proper legal channels to have your custodial/parenting time enforced by the family court. Don’t expect any miracles.